Boyds, Md. 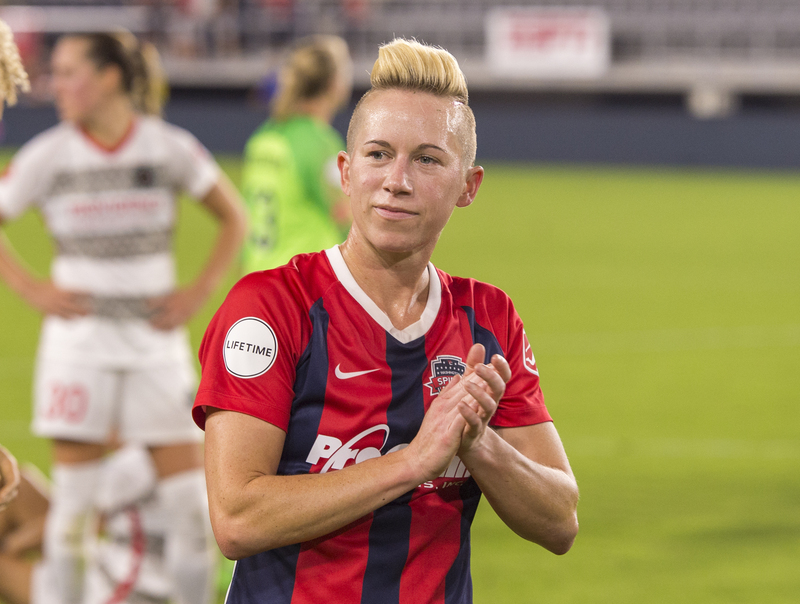 (3/31/19) – Washington Spirit midfielder Joanna Lohman has been announced as one of the official ambassadors for DC SCORES, an afterschool youth development program which integrates soccer, spoken-word poetry, and service-learning to set up students for success on the pitch and in society. “I am honored to represent an organization that does such valuable work in the community and empowers youth to succeed on the field, in the classroom, and in life,” said Lohman. Lohman has also recently started an online course called “Define Your Beauty” which shares a similar message to DC SCORES, as both seek to inspire others to embrace self-expression and community involvement through the experience of soccer. Alongside the Spirit midfielder, D.C. United goalkeeper Bill Hamid will also serve as an ambassador for DC SCORES. Their influence on the youth community as well as their local ties to the Washington metropolitan area creates a more personal connection among those involved in DC SCORES and within the District. Lohman grew up in Silver Spring, Md., and Hamid hails from Annandale, Va.